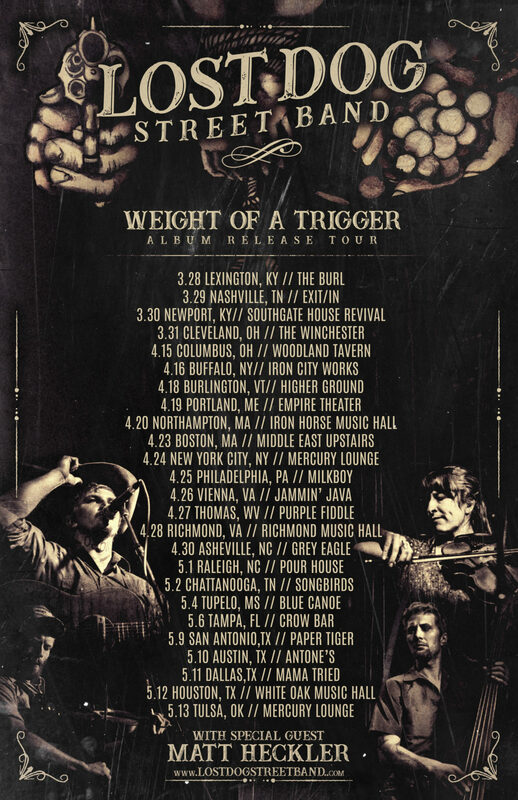 Weight Of A Trigger, the powerful fifth LP from Muhlenberg County, Kentucky-based dark country outfit LOST DOG STREET BAND, is #5 on the Billboard Bluegrass charts, following its release through Anti-Corporate Music at the end of March. This accomplishment has been achieved through the band’s hard work, their diehard fanbase, and the DIY works of the small label’s team. 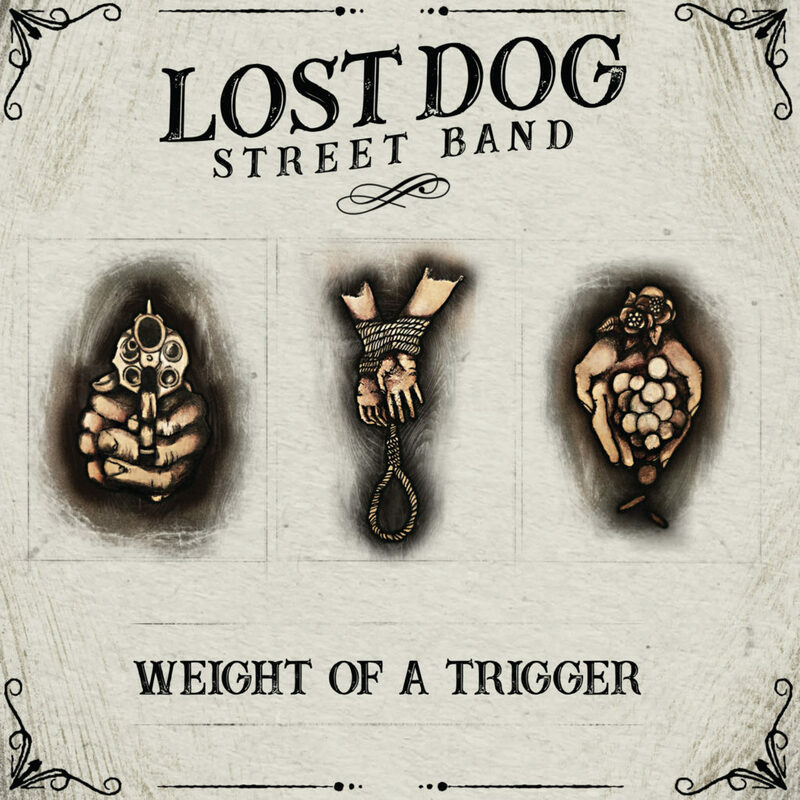 LOST DOG STREET BAND’s Weight Of A Trigger is a portal into when Americana was peopled by sensitive outlaws who pleaded for salvation in song; a potent distillation of its outlaw heartache soul. The ten-song collection spans old-time music, Appalachian folk, redemptive country blues, and winsome balladry. Each song is elegantly essential, using teardrop pedal steel guitar, delicate fingerpicked passages, emotive harmony vocals, and stately violin touches as delicate dynamic touches. The members’ influences of Guy Clark, Townes Van Zandt, Doc Watson, Devil Makes Three, Tyler Childers, Hooray For The Riff Raff, Sarah Shook & The Disarmers, Arlo McKinley, and more shine through the band’s emotional lyrics and infectious hooks.